Build Time: Custom-made, subject to availability of IMPORTED teak root (Bali, Indonesia). PLEASE INQUIRE BEFORE PURCHASE! Ships within 90 days. FREE LOCAL DELIVERY in Los Angeles County (CA). 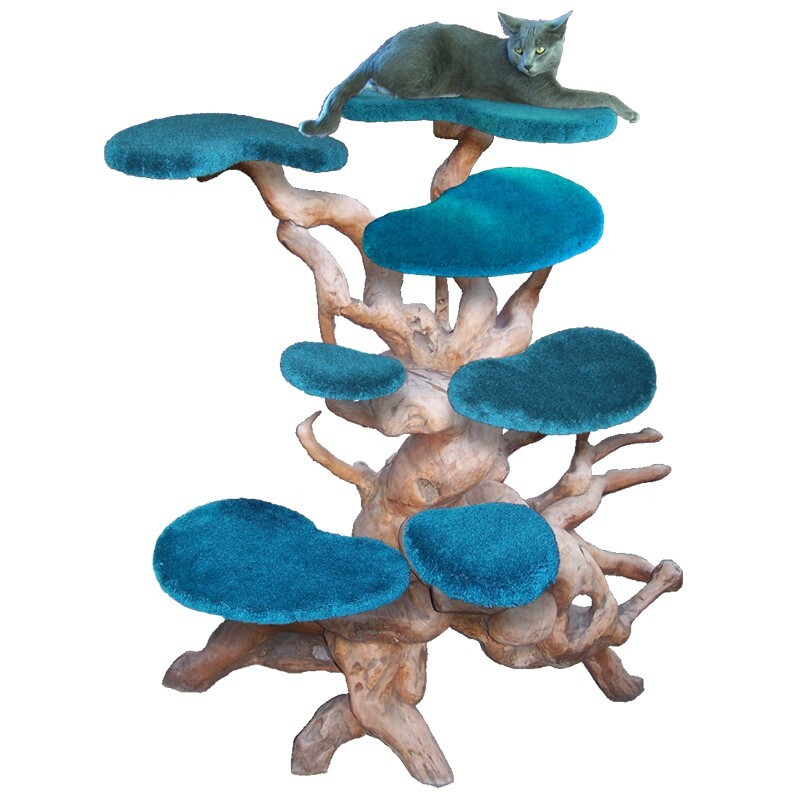 At 4' or 5' tall, this exotic rustic cat tree comes in your choice of carpet colors. Since these cat trees are made with real teak root (imported from Indonesia), availability is subject to local stock of quality teak specimens. Every one of trees are unique, one-of-a-kind works of art. Ships fully assembled.